At Springfield Pressings we can supply all of your steel fabrication needs. 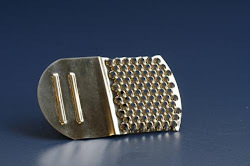 We can supply fantastic metal stampings and much more. We are a very experienced steel fabrication company based in the Leicester area, and if you are looking for a company who can provide metal stampings, metal pressings, metal forming, Cat ladders and more, then you should definitely call us on 0116 276 9953 or visit us online at the website address below. At Springfield pressings we are experienced steel fabricators in Leicester. We are able to offer an array of different steel fabrication services that consist of: Metal pressing, tool making, sheet metal forming, metal stampings and more. Whether you have a design ready or need one creating in AutoCAD, we will be able to work alongside you. Also, if you need a whole product metal pressed, assembled and finished then we are the right steel fabrication company for you. No job is too big or too small! We can offer great CAT ladder design services by using our excellent experience in auto CAD and metal fabrication. We have the capability to custom build CAT ladders and more out of aluminium. Our ladders are also available as a flat pack for on site assembly. 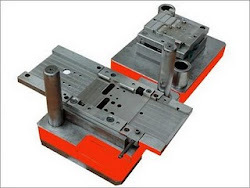 Sheet metal stamping is one of our excellent services, however there are some people out there who will not know what sheet metal stamping is. If this is the case then, Wikipedia explains it quite well and yo can have a look at it by clicking here.